In early July, Pressins (38), a town of 1,160 inhabitants, inaugurated its school’s outdoor gym. 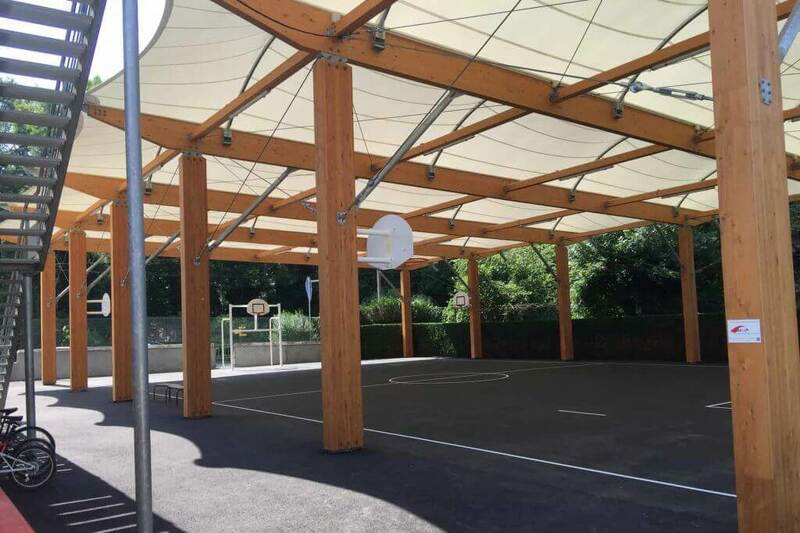 The town opted for the Preosport® solution and is now enjoying a sports facility that can host a wide selection of activities. Our school, which has more than 160 pupils, didn’t have a gym area suitable for children’s activities, including sports. So we made the most of our 700 m2 plot of land adjacent to the school to build a covered structure. The aim was also to supplement our sports facilities: a tennis court, a football field and a bowling pitch. Why did you choose the solution from SMC2? 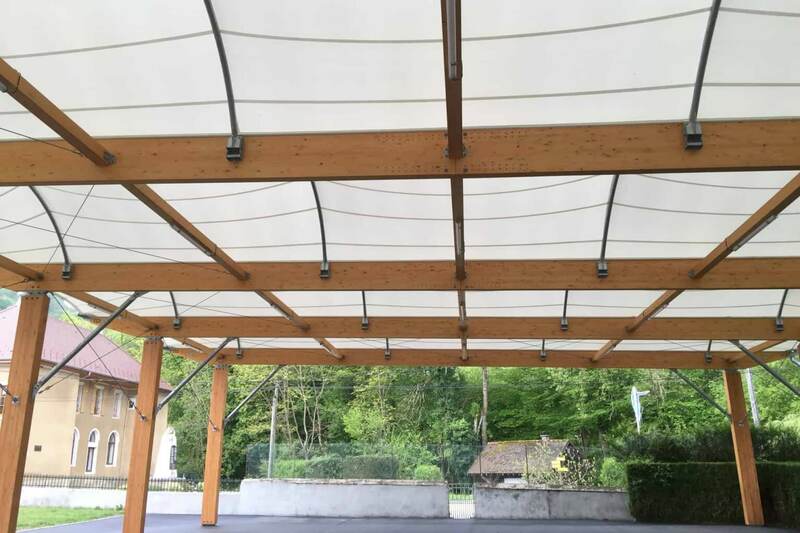 The Preosport® is an airy structure that’s covered and designed to be a fully-fledged outdoor gym for use the whole year round. We also liked the fabric membrane that lets a lot of light through. In addition, it was easy to build a customised facility: its dimensions are 22 x 70 m with a height of 5.50 m under the roof. It includes several marking layouts, football goal cages, school equipment and a height-adjustable net for tennis, badminton and volleyball. As for the floor, we chose a coated aggregate solution. It’s a structure that features a lot of highly technical solutions. For instance, it has a discreet single sloped roof to drain off rainwater from the single roof pitch located alongside an existing drainage ditch. So we didn’t need to install a special drainage system. It’s also a structure that’s ideal for multi-activities, which seamlessly matched our needs and intentions. Lastly, it was also an economic choice since the cost is significantly lower than a traditional gymnasium. How is this facility being used? It is mainly used for school and extracurricular activities, but also by the town’s associations, both sporting and others. For example, the outdoor gym is used for the school fete, jumble sale and some group meals with up to 150 guests. The gym is freely available the rest of the time. In addition, because the structure is independent from the schoolyard, we also hire it out for private events, especially evening events, as it has a manually-adjustable lighting system. Since it was inaugurated, the feedback is very positive so we’re satisfied with this investment, especially since the structure is easy to manage and requires no special maintenance.